Paul pointed to reports that Rudy Giuliani might be named secretary of state as an example of this. The former congressman later said, “I don’t how anybody can say they know what is going to happen,” with regards to the Trump administration’s policies overseas. 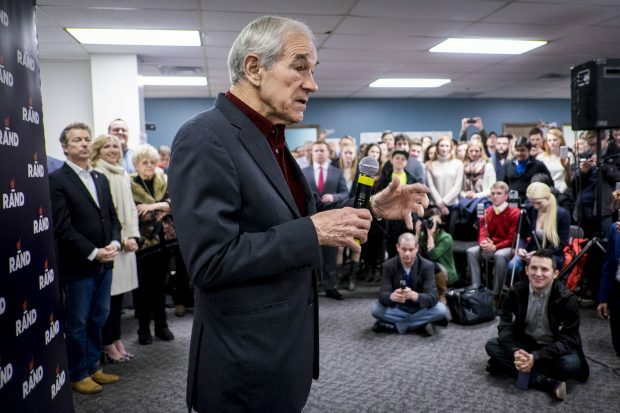 “All we need is a false flag and an accident and everybody will be for teaching them a lesson,” Paul added about the potential to intervene in the Middle East. Trump has previously criticized the Federal Reserve and said the central bank has created a “false economy.” Paul is a lifelong critic of the Fed, and TheDC asked him if he has hopes that the federal reserve under Trump will be better run. The former congressman also spoke about a “shadow government” when asked what he thinks about President Obama’s foreign policy.